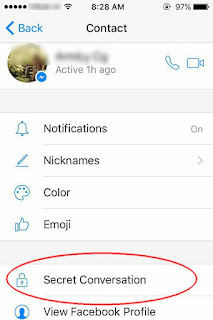 If you want to use Messenger App for chat with friend or someone as a secret. No more your history conversation. It cans choose timing to auto delete your words disappear during chat. 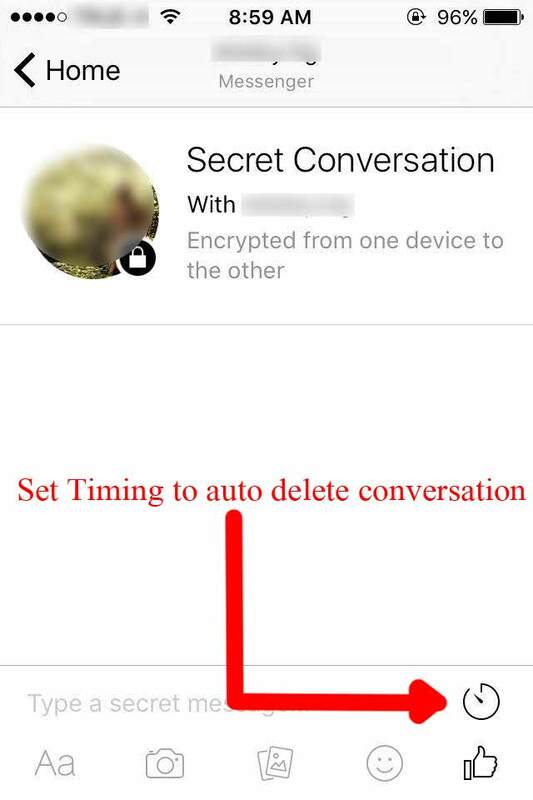 This is the Secret Conversation feature in Facebook Messenger App. Secret Conversation feature will have been enabling by go to Messenger app, at menu tab just go to Me > Secret Conversations > slide button to on, and then You have to open Secret Chat room by touch who you want to open default chat room and then touch at the name on the top. Select Secret Conversation for open secret chat room. This mode will have if that person also use Messenger. In the Secret Chat room will have clock sign on the display typing word box. Touch it to select timing for make your word auto delete. Only word who setting timing from device that will delete after time end but not include the conversation of people to talk with. Your word will be a secret, just remove chat room so if want to delete all chat. Don't worry about call history because in secret conversation mode can't use voice call and video call.